Rental Housing Co-operatives (RHCs) are a distinctive type of community housing provider which came into existence in the early 80’s in response to the acute shortage of Public and affordable housing. RHCs were seen as an alternative way of providing housing for low income families in need of affordable housing, which could provide the affordability and security offered by Public Housing and also some benefits of home ownership. 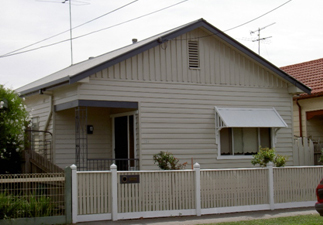 United Housing Co-operative (UHC) manages properties throughout the municipalities of Hobsons Bay, Maribyrnong, Moonee Ponds and Wyndham City. Ninety properties managed by UHC are owned by the Director of Housing and leased to the Co-operative under a five year General Lease. UHC also owns four properties acquired under the National Building Program in 2011-12 located in Wyndham City. In 2016/2017 UHC purchased an additional eight properties in partnership with the State Labor Government’s Rapid Housing Program – Family Violence, bringing our total property port-folio to 102 properties. United Housing Co-operative aims to provide appropriate, affordable and secure accommodation for low to moderate income families in housing need, limited single accommodation is also available for low income singles. The guidelines eligibility, allocations and rents are similar to those for Public Housing with some variation for properties owned by UHC. United Housing Co-operative is governed by a Board of Directors elected democratically by members of the Co-operative, thus ensuring member/tenant/user control of the operation of the service, and a better understanding of tenant/members’ needs. Generally, the monies collected are used for maintenance of Co-operative properties and administration of the co-operative.